Ford Aspire CNG offered in Ambiente and Trend Plus variants. Will be sold to both private as well as well as fleet owners. Powered by the same 1.2-litre, 3 cylinder Dragon engine. Gets a 2-year/100,000km standard warranty. Upcoming 2019 Ford Figo could also get a CNG version. 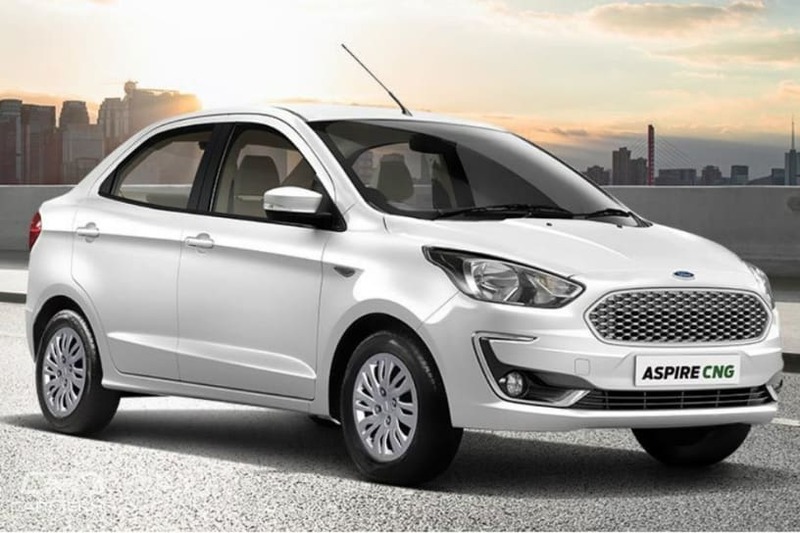 The Ford Aspire CNG has been launched in the country with prices starting from Rs 6.27 lakh (ex-showroom). The CNG version is only available in the Aspire’s base-spec Ambiente and Trend Plus variants. It will not be offered in other variants, namely Trend, Titanium and top-spec Titanium Plus. Ford has said that the CNG kit will be not be fitted from the factory. Instead, the conversion will be done at authorised Ford dealerships across the country. The Ford Aspire CNG is powered by the same 1.2-litre, 3-cylinder Dragon series engine as the petrol-powered version. The Aspire CNG will be offered with a 2-year/100,000km warranty as standard. While the CNG variants follow a regular one-year/10,000km service interval like their petrol and diesel-powered counterparts, owners will be required to get the CNG kits serviced once every two-years or 20,000km. The Aspire Ambiente CNG, which is available for commercial buyers, attracts a premium of Rs 72,000 over the corresponding petrol variant. On the other hand, the Aspire Trend Plus CNG, which is available for private registration as well, is Rs 53,000 more expensive than its corresponding petrol variant.